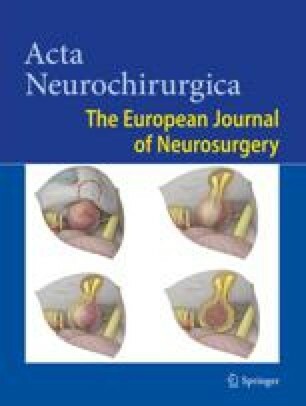 A retrospective study was undertaken on 133 patients with a Chiari I malformation treated within the last 16 years at the Departments of Neurosurgery at the Nordstadt Hospital Hannover, Germany, and the University of California, Los Angeles, U.S.A. Ninety-seven patients presented with symptoms related to accompanying syringomyelia and 4 with associated syringobulbia. They underwent 149 surgical procedures and were followed for a mean of 39±52 months. A decompression at the foramen magnum was performed in 124 patients, while 22 of those with syringomyelia were treated by shunting (7 syringosubarachnoid shunts, 15 syringoperitoneal or -pleural shunts), and 3 by ventriculoperitoneal shunts for hydrocephalus. Except for ventriculoperitoneal shunting, at least a short-term decrease in size of an associated syrinx was observed for all procedures in the majority of cases. However, no long-term benefit was observed for syrinx shunting operations. The best clinical longterm results were obtained with decompression of the foramen magnum in patients with (86% free of a clinical recurrence) and without syringomyelia (77% free of a clinical recurrence). We advise against syrinx shunting, a large craniectomy, and obex plugging which are associated with higher recurrence rates. Instead, surgery should consist of a small craniectomy, opening of the dura, archnoid dissection to establish normal cerebrospinal fluid (CSF) outflow from the 4th ventricle, and a fascia lata durai graft.